Not much has been written about "Australian style" however there is definitely a unique style of bonsai being developed in our country. The big question is... What is Australian style? Must an Aussie style bonsai be a native tree? Should it replicate the way our tree's grow in their natural habitat? Is it a group or 'bush land' type setting? 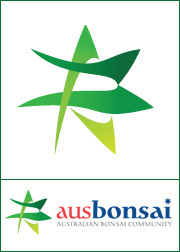 I believe that if we can define "Australian style", it will be a HUGE step for our bonsai community and bonsai in general. It may be as simple as 1 loose style or broken up into many styles like the traditional Japanese way of formal upright, informal upright, slanting etc. What I am sure of is that this question needs to be discussed and solved. It reflects the way tree's grow here, while following basic design elements. It allows for more freedom, to show the harshness of the enviroment. Base your styling on where the tree comes from, dont style a mallee scrub gum as a classic full formal upright it just wont make sense. Young and hostile but not stupid. Bonsai Club: SA Bonsai Soc. If your refering to 'australian style' as the imitation of what our native eco systems are capable of then you are open to absoloutly any style you like. We have harsh alpine areas and deserts & wind sweapt costal areas producing twisted stunted trees right through to magnificent towering canopies or rainforests and native pine forests. then look at the River Red Gums along the Murray river to recreate the image of these through bonsia would look fantastic. I think by australian style we can replicate all the japanese forms through our natives and i also agree with Asus "... dont style a mallee scrub gum as a classic full formal upright it just wont make sense." I have to say that I am not surprised that this question has raised its head and I'm sure that we will hear many and varied ideas as to 'Style', and what it represents to us as Artists (opps, did I mention that other ugly word). I believe that way too much emphasis is placed upon the word 'Style' in the first place, to me it seems to have originated from those who wish to differentiate themselves from the Japanese influence in Bonsai. To attempt to complicate the hobby or art form (whichever you choose) by placing extra labels on the already confusing system we find ourselves with at present will not in my opinion do anything to improve the production of our little trees. There have been numerous discussions on Chinese Style - Japanese Style and Natural Style and now Australian Style none of which to me makes any difference to the fact that trees grow in a general upward direction toward light. When we look at trees growing in their natural surroundings and without human intervention we find that almost always one particular tree will catch our attention and stand out from the others and I am almost sure that the single reason for this is balance. Trees that display balance always seem to be the ones that catch our eye and provide us with that wow moment. For me styles are still best described by way of description of the trunk direction. Verticle trunk - formal, curved trunk - informal, leaning to one side - slanting, falling to below horizontal - cascade and semi cascade and so on. What do others think? Is there an Australian style or should be be looking for 'style' within the tree's we care for? Last edited by Steven on November 14th, 2008, 4:37 pm, edited 1 time in total. yes gents an interesting topic indeed. what i am seeing as a major character in many natives, is multi trunks and sub trunks. the latter being somthing walter pall talks about in his naturalistic style. subtrunk meaning not necessarily growing at ground level, a low branch that got to thick and filled into a sub trunk. Charles Cernonio from South Africa has an excellent book out 'Bonsai Styles of the World'. There is a chapter with 'African Styles', styles that devout Japanese enthusiasts would throw out but accurately reflect, in miniature, the growth nature of trees on the African continent. I have a Babyintonia pluriflora [baeckea] that could not be benched were it classified under the traditional styles but makes an admirable bonsai when considered as an Australian tree. Its branches twist hither and yon, going no where near the traditional left/right/back concept. Yet it works because it reflects what we see in the bush. Purists will always argue that this is wrong but they are wrong. While some trees can be styled to conform to expected outcomes, you cannot slot trees with a totally different growing pattern into left/right/back .... or even [tongue in cheek] right/left/back. This philosophy of following antique rules for certain trees does not reflect species growth habits and the contemporary spirit of bonsai, styling the tree for a more natural look, should win out. This does NOT mean shaggy, outgrown, letting the tree do what it wants. That idea is not correct either. Any bonsai should still strike any viewer as 'styled', something that has had a lot of time and work put in on it to correct and improve balance, proportion and harmony. Natural tree growth is not necessarily harminous and it is the stylist's aim to refine a tree's natural tendencies to an artistic level. That's styling, that's what Aussie bonsai should reflect. Woz wrote: If your refering to 'australian style' as the imitation of what our native eco systems are capable of then you are open to absoloutly any style you like. We have harsh alpine areas and deserts & wind sweapt costal areas producing twisted stunted trees right through to magnificent towering canopies or rainforests and native pine forests. So, herein lies the first stumbling block: how can we hope to define an Australian Style of Bonsai if we cannot even broadly define the Australian landscape? In the hunt for an American Style of Bonsai, many US practitioners have resorted to the practice of naming many forms after certain species of trees: Live Oak Style, Bald Cypress Flat Top Style, and so on. Likewise in Australia, Dr Roger Hnatiuk has proposed the Mallee Style. However, I believe that the multiplicity of forms that a given species may present makes such "Species Style" definitions unworkable. I love both of these trees, and in more traditional terms, I'd describe both as Informal Upright. But what if I wanted to pursue the River Red Style? How could I possibly hope to reconcile the major formal differences between these two trees? How could I differentiate between the manifold natural variations within the species? Would I go so far as to defining something so convoluted as the Australian River Red Gum Mill Park Style? Each descriptor seems like another excuse for a tree which would otherwise not withstand aesthetic scrutiny. Jon Chown wrote: I believe that way too much emphasis is placed upon the word 'Style' in the first place, to me it seems to have originated from those who wish to differentiate themselves from the Japanese influence in Bonsai. This is an interesting point that Jon makes, and one that I agree with generally. The desire to affirm our individuality as a nation is based upon the belief that there is a single point of 'Australianness' which unites us all. 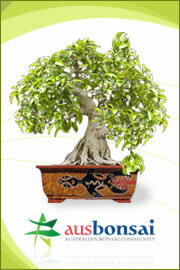 Likewise the search for an Australian Style of Bonsai. Who and what would fit under such a broad heading? Finally, this is not a wholesale rejection of the possibility of an Australian Style of Bonsai. All I'm saying here is that I haven't found - in my travels or my studies - a single common element that could be said to unite the trees of our vast nation. If somebody out there can find the Australian Style, please let me know! Last edited by FlyBri on November 15th, 2008, 2:24 pm, edited 2 times in total. 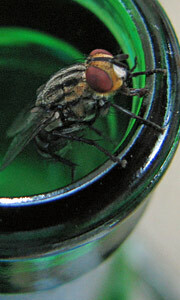 I totally agree with you Fly! There's just something in certain well trained natives that makes you think to yourself "this is an Aussie style". There are certainly Australian natives that cont look anything like those I have seen in nature, but as Woz and fly pointed out, they differ greatly in nature too. Would it be unreasonable to say that most bonsai that look like an "Australian native style" have a more rounded canopy? It is only a subtle difference, but i have not seen any trees with sharp apexes that remind me of those i see in the bush around me. Excellent post FlyBri, you have obviously spent a lot of time considering this question in the past. FlyBri wrote: Rather than aspire to an as-yet undefined (undefinable?) Australian Style, I'd aspire to the creation of the Australian Image within my Bonsai practice. The difference is subtle, but I believe it has profound implications. I would really like to hear more about your ideas on the 'Australian Image' Fly. Can you expand on your thoughts? Last edited by Steven on November 15th, 2008, 1:14 pm, edited 1 time in total. How on earth can we attempt to place a description on Australian trees when two trees of the same species growing side by side can't even adopt a similar silhouette. It has long been my belief that many people who wish to create a 'new style' name, do so because they simply can't master the existing named styles. To me it's the beginning of mediocrity and a watering down of those attributes that originally drew so many of us to this hobby (art form). great to see all that diversity fly thanks pal for sharing. Again and again sub trunks. Last edited by anttal63 on November 15th, 2008, 6:48 pm, edited 1 time in total. it is so great to read this page. VERY profound words Fly and Jon, this discussion reminds me of Walter Paul's article entaling "style" in issue 116(i think it was 2 issues back) of bonsai focus. part of his discussion involved some very profound words also, and what i took from this article was that "style" was something your your artwork has, your tree has, for the person viewing to FEEL. i think personal emotions play a part in the "style" we feel in the bonsai that we view. i have a friend that came from south africa, he gave a demo on "the african style". the trees that were shown on the powerpoint projection certainly showed me that the photos of these trees were chewed by animals only in africa, and his tree "style's" gave me that same feeling. if you can create a bonsai that takes me to a spot in this great country of ours that i have been before, and it gives me a feeling and sense of what i consider to be an Australian scene, and you tell me that it is Australian "style", then you are correct. Certainly because of Australia's huge expanse and corespondingly almost endless variety of habitats and species, we really are up against it to pin down an Australian style! I suspect we will end up with many, many styles. For me the Eucalypt (and its near relatives...Angophera etc) is the iconic Australian tree. I'll generalise here and just call it the gum tree! I love gum trees, there are 100's of species out there and a zillion variations of form, but 90% of them look like gum trees, so there is something there that tells us....this is a gum tree! What are the aspects of Eucalypts that tell my brain that what I am seeing, is a gum tree? If we can identify these aspects (even with a degree of generalisation, which we will probably need) then we can perhaps develop some guidelines to help someone to style a plant that then looks like a gum tree! From there, we can move on to have more specific guidelines for some of the distinctive sub-groups, (eg mallee) or well known species (eg river red gums). Then of course, we have the problem of actually attempting to coax a plant to grow in the desired style! But that aside; I've never been to Africa, but I have that image of those classic African grassland trees (obviously only one style from a huge continent). A tree styled like that, to me would say...Africa. In Australia, it would have to be the Eucalypt!! The discussion on Aussie styles is interesting when considered in light of the fact that the traditional styles we dwell on [formal/informal/windswept/slanting/cascade-semi cascade] are only 5-6 of a huge variety of styles that the Japanese have developed. So if the Japanese can have multitudinous styles to depict the huge variety of ways THEIR trees grow why can't we. When you move an art outside of its country of major development you must be prepared to adapt; adapt the art to the new parametres of the new stock being used. If you want Japanese styles to the detriment of creating/naming specific Australian styles... then stick with maples and pines and stay away from our trees.